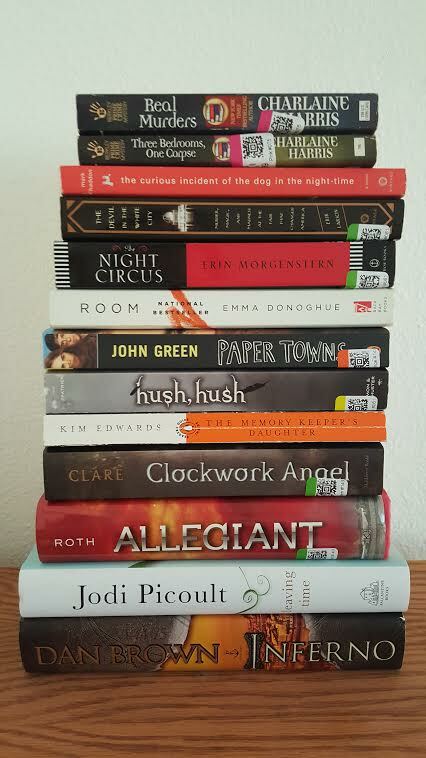 Digging into the second part of my October Book Haul! I am really excited, however I then take a moment to realize there is just no way to read all the books on my TBR list as well as all the books I continue to binge-buy. So, I’ve really been trying to reel myself in on book buying. I should be reading as many as I buy. Ha. Ha. Ha. Sure. Maybe in my next life. So here is the second part of my list! I’ve previously read several of these books but some were too tempting to just walk by and I decided in my quest to re-read all the books I owned that some of these would be great re-reads and additions to my over sized book collection. Have read some of these and some are on my list to read as well:) Thanks for sharing! That’s great! Which ones have you read?!! Love, love, love Jodi! I’m really curious about Room, so I hope it’s good! I got Paper Towns to see if it was worth the hype-I’ll find out soon I guess!